Prime Minister Justin Trudeau road tested his campaign strategy at an event Friday, lumping Conservative Leader Andrew Scheer with with Ontario Premier Doug Ford and other right-of-centre politicians who deny climate change, vilify immigrants and tolerate white nationalists. Prime Minister Justin Trudeau road tested his campaign strategy Friday, lumping Conservative Leader Andrew Scheer with Ontario Premier Doug Ford and other right-of-centre politicians who deny climate change, vilify immigrants and tolerate white nationalists. In a 25-minute speech to supporters in the Toronto suburb of Mississauga that mentioned Ford as much as it did Scheer, Trudeau criticized the recently released Ontario budget and warned how it could be reflected on the federal stage. Ford "announced his first budget loaded with cuts. Cuts to services for farmers, cuts to services for Franco-Ontarians, for seniors, for post-secondary students, for Indigenous peoples, for children and for all those who rely on community social services. Shame," Trudeau said. "Andrew Scheer takes his cues from the Ontario premier, so Canadians can expect much of the same if he ever gets elected: Cuts to the Canada Child Benefit, cuts to the National Housing Strategy, cuts to the OAS and to CPP enhancements and on climate change in particular, he's no better." Ford's budget did make a number of cuts to programs and services, but they were less than were expected and the provincial government is still running a deficit of almost $12 billion. Trudeau also criticized Ford's environmental record. He pointed out that the Ontario government recently fired the province's chief scientist, scrapped mandatory emissions tests for cars, killed Ontario's cap-and-trade system for greenhouse gas emissions and is using public money to fight the federal carbon pricing plan in court. "Andrew Scheer said that the first thing he'll do if elected prime minister is to make pollution free again. He wants to take us back to Stephen Harper's decade of inaction." Trudeau said that in contrast, the first thing his government did upon getting elected in 2015 was to increase taxes for the wealthiest one per cent of Canadians and cut taxes for the middle class. "You want to talk about 'for the people,' that's 'for the people,'" Trudeau said mocking Doug Ford's often used political catchphrase. 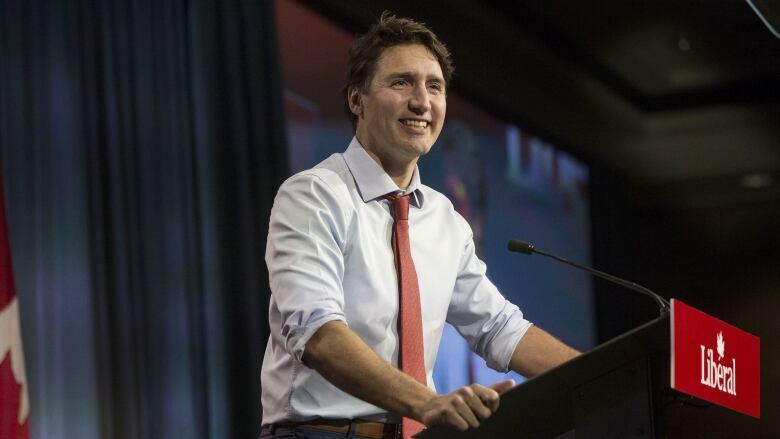 The prime minister lumped Scheer in with the rising conservative populist movement globally that Trudeau says has successfully turned anger into political support that wins elections. "Why worry about climate change, they say, when immigrants are taking your jobs." "Andrew Scheer conveniently fails to call out alt-right conspiracy theories. Andrew Scheer fought against a non-binding motion to denounce Islamophobia. Andrew Scheer has proudly spoken at the same rallies as white nationalists. Is that someone who will govern for all Canadians? I don't think so." The comment about sharing a stage with white nationalists refers to Scheer's appearance at the pro-pipeline rally United We Roll, on Parliament Hill in February. One of the speakers was a former Rebel Media and alt-right personality who has since been fired from Rebel Media and banned from Facebook for her extreme views. Trudeau also asked supporters to come together to fight Scheer, referencing the recent infighting in his party over the SNC-Lavalin affair. "Liberals fighting Liberals only helps Andrew Scheer," Trudeau said. 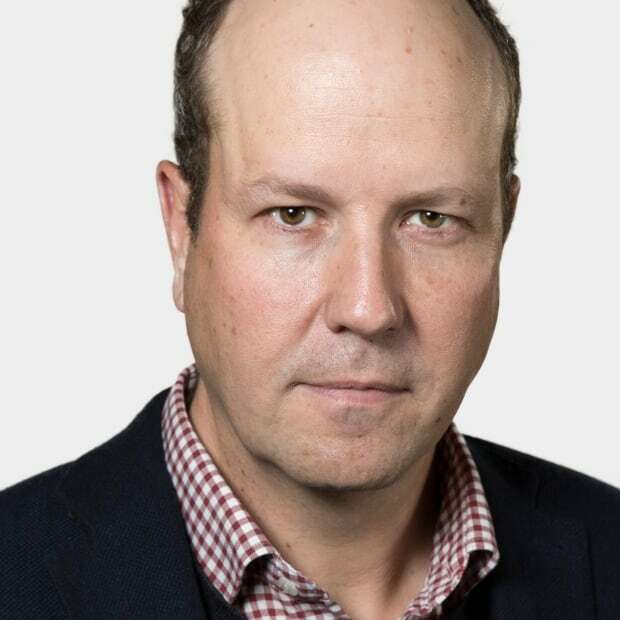 Peter Zimonjic has worked as a reporter and columnist in London, England, for the Daily Mail, Sunday Times and Daily Telegraph and in Canada for Sun Media and the Ottawa Citizen. He is the Author of Into The Darkness: An Account of 7/7, published by Random House.